Videssa Breast is the first protein-based blood test of its kind to provide early and accurate detection of breast cancer. Videssa Breast may provide clarity for women who receive abnormal mammogram results and/or have dense breasts. With a simple blood draw, Videssa Breast helps determine whether you have breast cancer now, not your future risk of developing the disease. Results are not impacted by breast density, which allows for earlier and more accurate detection and provides you and your healthcare provider more information and clarity with your mammogram results. For women with dense breasts and abnormal mammograms, annual breast cancer imaging can cause stress and anxiety. This stress, worry and anxiety of uncertainty can interfere with every aspect of a woman’s life. Find out how Videssa Breast helps alleviate anxiety for Julie in her video. 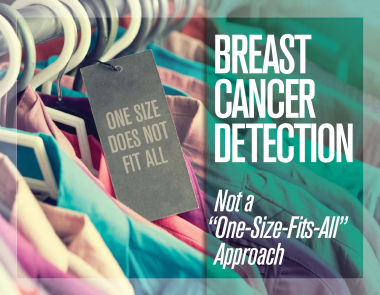 There is a critical need for an alternative approach to complement breast imaging technologies when clinical assessment is challenging, particularly in women with abnormal or unclear imaging findings. Early detection of breast cancer provides the best clinical outcomes. 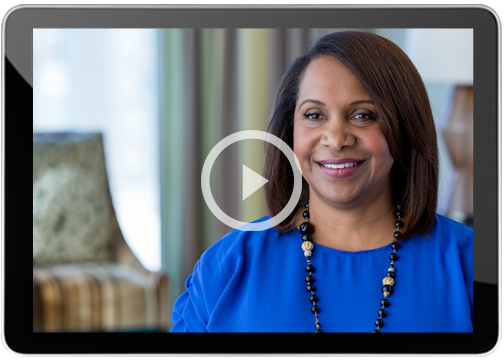 Watch Dr. Elayne Arterbery discuss the challenges in breast cancer detection and the need for additional information to help provide patients with abnormal or unclear imaging findings more information about their results. Every woman’s situation is unique; your healthcare provider will provide you the best information to decide your next steps. To answer questions and provide more information about Videssa Breast download a copy of the patient brochure below. Does this test replace my regular mammography screening? No, you should maintain your regular breast cancer screening as recommended by your healthcare provider. Videssa Breast is recommended for patients with abnormal or unclear mammogram results and/or with dense breasts. How can Videssa Breast help my healthcare provider to make decisions about my care? Videssa Breast provides information that when combined with imaging results, allow your healthcare provider to make informed decisions on your treatment options. Mammogram results provide a visual interpretation of your breasts while Videssa provides biological evidence of the presence or absence of cancer. By combining imaging with Videssa Breast, your healthcare provider can have a more complete assessment of your breasts thus, improving early and accurate breast cancer detection. Low Protein Signature (No): likely indicates the absence of breast cancer. Your healthcare provider may use these results along with other available clinical data to determine with confidence if follow-up (additional imaging and/or biopsy) is needed. High Protein Signature (Yes): may potentially indicate the presence of breast cancer. Your healthcare provider may use these results along with other available clinical data to determine with confidence if immediate follow-up (additional imaging and/or biopsy) is needed. Videssa Breast helps determine whether you have breast cancer right now. This test is not like genetic tests, which are designed to determine your future risk of developing the disease. 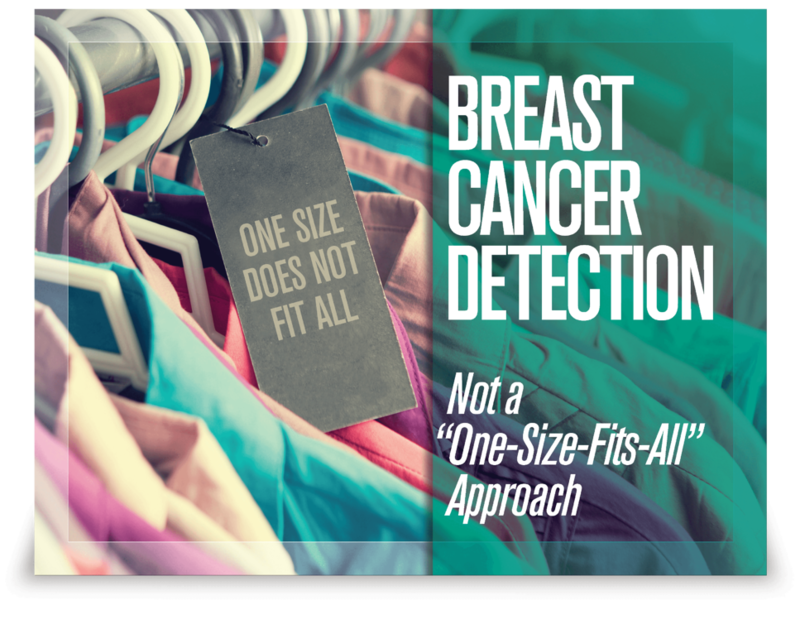 Results are not impacted by breast density, allowing for earlier and more accurate detection of breast cancer.